Fellow poster cigarjoe likes to say noir is a style more than it is a genre, which means as a style it can occur across genres. I agree. So in this case it stands to reason that noir as a style can apply to a holiday film that has grim/bleak aspects. TopBilled, I agree with you. 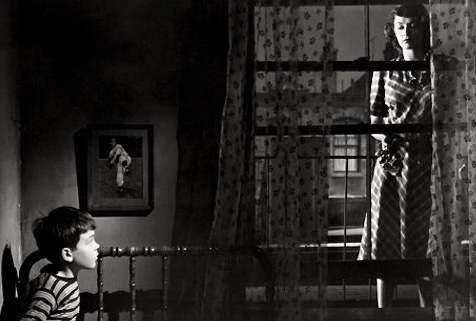 There is such thing as children's noir, but the term isn't widely known. Children's noir also extends into cartoons. The series finale of Hey Arnold is a spoof of The Maltese Falcon. Have a look for yourself. Thanks. I hope the OP chimes in again. And maybe cigarjoe. This is an interesting discussion. The Wolf Man: Full Moon Noir. Gone With The Wind: Antebellum Noir. Abbot and Costello Meet Captain Kidd: Slapstick Pirate Noir. Yes, seriously, these could all be re-viewed in terms of noir style. Almost any film could be. THE WOLF MAN could be seen as a proto-noir in the horror vein. GONE WITH THE WIND has a big scene, where Scarlett shoots the soldier, that combines costume drama, melodrama, war drama and crime/noir. The A&C movie could be reassessed as a comedy noir if it has darker elements in the narrative. Why not? You know, for a soldier. My view is that anytime a murder occurs, or a character has the intention of murdering another character, that's noir. Which means noir elements can appear in a wide variety of genres and sub-genres if those films or TV shows have killing in them. And for Christmas noir, there's also Cover Up. Oh yeah, GREAT example. Love this film! It is my understanding that 'noir' connotes a work which obscures lines in traditionally black-and-white situations. It involves moral ambiguity while good people do bad things and bad people become heroes. The cynicism is cranked up to eleven and the fatalism is palpable. There is no reason why such a stylistic approach to storytelling would be confined to a single genre. 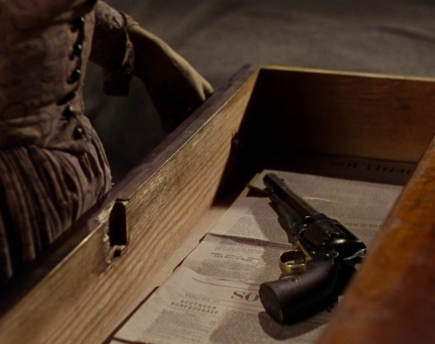 I have read reviews which state that: Gunslinger Girl (2003) is a type of noir. None did explicitly term it as: anime noir but the implication is there. I would not personally term it such as I find little moral ambiguity within the main characters: they are simply sweet and innocent little girls who assassinate Republicans. I wouldn't quite agree: I don't think, for example, that Becket is a noir, and Some Like It Hot certainly isn't. You missed what I said. I never said films had to be pure noir. I said many films and TV shows have noir elements in them. It's been awhile since I've seen BECKET...but I would say that anytime someone kills or has the intent to kill, that's a noir element, regardless of genre. So if someone is murdering or trying to murder someone else in BECKET, then it could be defined on some level as historical noir. I would definitely say MACBETH (1948) is an example of historical noir. I don't think Spats wanting to kill Daphne and Josephine has noir elements at all. And I don't think of the killings in most of the 30s gangster movies as noir elements either. Re: your first sentence-- I think maybe you are having a hard time buying my definition when you apply it to a comedy. But wanting to kill any living thing, even if presented humorously, is still black-hearted. Chaplin's MONSIEUR VERDOUX (1947) is a perfect example. Re: your second sentence -- Gangster movies of the late 20s and 30s are a direct precursor to the purer forms of noir associated with postwar Hollywood cinema. The studios saw it this way too or else RKO wouldn't have remade 1928's THE RACKET in 1951. They recognized the similar elements that those early stories contained and it was easy to bring them up to date. Columbia's films THE BIG HEAT (1953) and TIGHT SPOT (1955) are other good examples of gangster stories repackaged with more explicit noir elements. I think the problem people have when they struggle to widen their understanding of noir is that they are trying to pin it to certain years of production or to black and white crime dramas. They can't see noir in comedy or noir in science fiction, or noir in other unlikely genres, but it's still there. Tarzan the Ape Man: Loincloth Noir. Bridge on the River Kwai: Hot Box Noir. Man Who Shot Liberty Valance: Wrong Man Given Credit For A Killing Noir. I don't know ... I see this more as a Soir Noir. Remember Eddie Muller's dictum "Its Baroom not Classroom"
It's a style. Take for example It's A wonderful Life, it goes definitely Noir in it's Potterville Sequence, it's shot in a totally different style. If a film has a murder in it and is filmed in the traditional Hollywood method it just a Crime film. "Film noir is a cycle of mainly American films of the 1940’s and 1950’s exploring the darker aspects of modernity, and usually set in a criminal milieu or exploring the consequences of a criminal act. While many see film noir originating in post-WW2 trauma, I believe the origins of film noir lie largely elsewhere. Film noir was a manifestation of the fear, despair and loneliness at the core of American life apparent well before the first shot was fired in WW2. This is not to say that the experience of WW2 did not influence or inform the themes and development of the noir cycle in the post-war period. The origins of film noir and why it flowered where and when it did are complex, and we can’t be definitive, but it is fairly evident that noir emerged before the US entered the War, and had its origins principally in the new wave of émigré European directors and cinematographers, who fashioned a new kind of cinema from the gangster flick of the 30’s and the pre-War hard-boiled novels of Dashiell Hammett, Raymond Chandler, James M. Cain, and Cornell Woolrich. We can also clearly see the influence of German expressionism, the burgeoning knowledge of psychology and its motifs, and precursors in the French poetic realist films of the 30’s. Noir was about the other, the “dark self” and the alienation in the modern American city manifested in psychosis, criminality, and paranoia. It was also born of an existential despair which had more to do with the desperate loneliness of urban life in the aftermath of the Depression. Noir writer Cornell Woolrich, for example, was a lonely and repressed individual, who spent his life in hotel rooms, and painter Edwards Hopper’s study of the long lonely night in Nighthawks was painted in 1942." "A particular style/tool of film making used in certain film/plot sequences or for a films entirety that conveyed claustrophobia, alienation, obsession, and events spiraling out of control, that came to fruition in the roughly the period of the last two and a half decades of B&W film. Another thought to throw into the equation of what makes a Noir/Neo Noir is an individual internal factor. It's subjectivity. Noir is in all of us. Think of us all as having an internal tuning fork, these tuning forks are forged by our life experiences which are all unique. When we watch these films their degree of Noir-ness resonates with us differently, so we either "tune" to them or we don't. The amount of "tuning" (I'm appropriating this term from the Neo Noir Dark City (1998)) to certain films will vary between us all also." Obviously have no idea what we are trying to convey. But noir "Christmas" movies are not exactly typical heart-warming, feel-good family Yuletide fare; therefore I would argue that unlike such "regular" Christmas offerings, noir Christmas films would be a welcome change. And certainly they are not shown over and over again, to the point where even one's favourite "holiday" movies can wear a little thin. Also, since most noirs are, as we all know, , edgy, often dark (in more ways than one), and altogether the opposite of sentimental etc., they would not cloy a Christmas-film-weary audience; so I don't believe we'd tire of them the same way as with the usual suspects. Christmas Holiday and Lady on a Train...ok, Deanna Durbin isn't exactly an icon of noir. But it's just a bit of a stretch to say that these two are at least kind of noirish, and they certainly don't get aired very often. The Lady in the Lake: Robert Montgomery's plucky albeit not always successful attempt at subjective camera; Audrey Totter's the best thing in it. Anyway, it takes place over Christmas and New Year's. Kiss of Death: Well, it's not exactly a "holiday" movie, but it does begin at Christmas time, complete with department store decorations etc. Victor Mature does a little stealing, but hey, it's just because he wants to buy his family some nice Christmas gifts. L.A. Confidential? It's a pretty darn good neo-noir, and it's set over the holidays. And hey, I have no problem watching Kevin Spacey in it. Warm Nights On A Slow Moving Train (1988), Delusion (1991), Hard Eight (1996), The Lookout (2007).